Saturn Bomberman (USA) "Master Game" in 10:12.86 by Auxeras & VicoV. 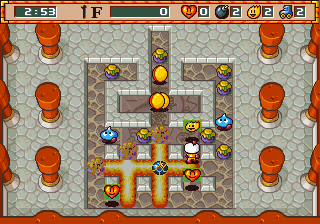 This TAS runs through the Master Game mode of Bomberman on the Sega Saturn. While the basic gameplay is very similar to any game in the Bomberman series (especially the Super Bomberman SNES runs found at TASVideos), there are some key differences in this run. Rather than having multiple themed worlds with a boss at each, there is one temple with 20 floors and a boss after every four floors. More importantly, though, many important powerups are lost after each floor in the Master Game mode. This means the player needs more creative routes for laying bombs to get the fastest time. This run by th2o and VicoV runs through the whole game in just over 10 minutes without taking any damage. 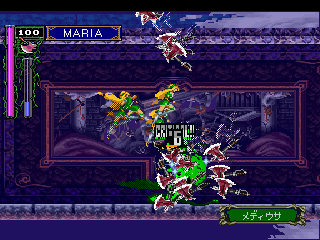 Saturn Castlevania: Symphony of the Night (JPN) "Maria Mode" in 06:45.72 by arandomgameTASer. Castlevania: Symphony of the Night for the Sega Saturn is a port of the popular PSX game of the same name. 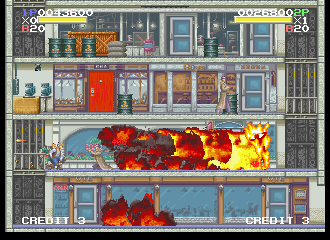 This version features the console-exclusive character Maria, who easily blazes through the castle, proving that she's not just another damsel in distress. arandomgameTASer uses a combination of magic powers, kicks, glitches and luck manipulation to free the world, yet again, from Dracula's minions. 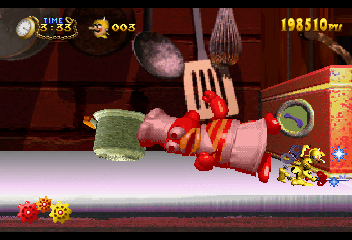 arandomgameTASer improved the previous movie, the Sega Saturn's first published run, by 5.50 seconds with general optimization and new tricks involving axes. 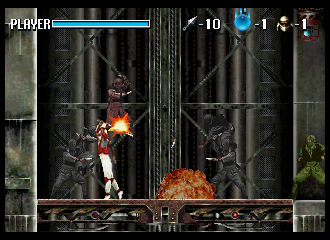 For more glitching and monster killing, we also have Alucard and Richter's movies, both done on the PlayStation version. Saturn Elevator Action -Returns- (JPN) in 14:39.5 by Mitjitsu. Elevator Action -Returns- is Taito's sequel to their 1983 game. At the start of the game, you choose one of three characters, Kart Bradfield, Edie Burrett, and Jad the Taff. Each of them has their strengths and weaknesses, as well as different primary and secondary weapons. As members of a special task force, you must stop an anarchal communist terrorist organisation from setting off nuclear bombs, as well as thwarting their most diabolical scheme of all. Saturn Magic Knight Rayearth (USA) in 13:22.0 by Mitjitsu. The balance in the magical world of Cefiro is supported by the prayers of the lovely princess Emerald. When the evil Sage Master imprisoned her, the existence of the entire world was endangered. Using her spiritual powers, the princess contacted three Japanese high-school girls, Hikaru, Umi, and Fuu, turned them into Magic Knights, and summoned them to Cefiro, where their goal is to save her and to restore the balance. 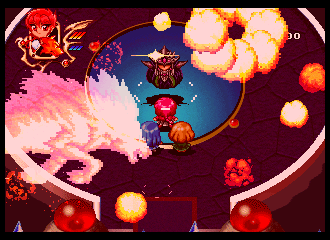 Magic Knight Rayearth is a game developed by Sega AM7 R&D Division and published by Working Designs (whilst upping the difficulty a notch and botching the translation in the process) in North America in November 1998, making it the final Sega Saturn game released in North America. Mitjitsu improves the previous TAS by a tremendous 13 minutes and 58.1 seconds, mainly thanks to exploiting the infinite magic trick, allowing the game's most powerful spell to be used infinitely even when not meeting the required mana costs. Saturn NiGHTS into Dreams... (USA) "all levels" in 19:26.62 by Nye. 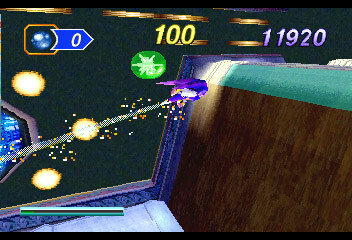 NiGHTS into Dreams... developed by Sonic Team was the first game to be produced by the team which did not feature Sonic. The story follows the characters Claris and Elliot who have dreamt their way into the world of Nightopia where all dreams are gathered. The evil force of Wizeman is gathering power from these dreams to take control of the world. Watch as Nye traverses through all levels as NiGHTS to prevent the spread of nightmares and to restore peace to Nightopia in record time. 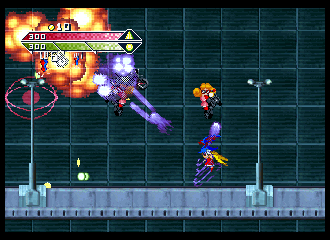 Every second pair of links/torrents provides an Anamorphic Widescreen encode, which stretches out the picture for a 16:9 display in which some Sega Saturn games, including this one, supported. Saturn Shinobi Legions (JPN) in 21:15.08 by zoboner. Shinobi Legions (新忍伝 (Shin Shinobi Den) in Japan) is a side-scrolling action game, similar to Shinobi III. Sho's primary weapons are a sword and a finite number of shurikens, both of which are activated with separate buttons. Sho can learn nearly a dozen sword abilities (spinning slash, downward slash, sword shielding, etc.) by collecting powerups scattered throughout the stages. There are also the "Fire Dragon" powerups that act as single use ninja magic attacks that damage all enemies on-screen, which is the only ninja magic available to Sho. zoboner, using an input sequence to play on the hardest difficulty, clears the game in record time. Saturn Silhouette Mirage (JPN) in 27:07.88 by Nye. Silhouette Mirage (シルエットミラージュ) takes place in a world where due to an accident it is now inhabited by two genetically mutated classes, the Silhouette and the Mirage. Our hero Shyna Nera Shyna who was created to be the messenger of justice seeks to find Edo, a computer system responsible for the accident, and restore the world back to order. Nye dashes through the game in record time. Saturn Steamgear Mash (JPN) in 11:16.48 by Nye. Steamgear Mash is an isometric platformer game developed by Tamsoft and published by TAKARA in 1995 for the Sega Saturn exclusively in Japan. 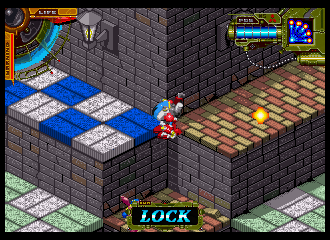 You play as the robot Mash who is trying to rescue his friend Mina, who has been kidnapped by a group of robots. Nye completes the task and rescues Mina in record time. Saturn Tryrush Deppy (JPN) in 21:41.9 by Nye. 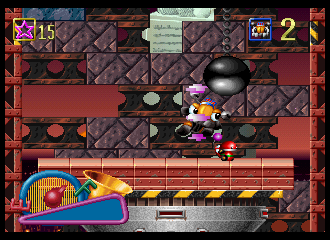 Tryrush Deppy is a Japan-exclusive platformer released in 1996 for the Sega Saturn. You play as a taxi named Deppy who is racing in the Tryrush Rally which starts from the east coast of the United States all the way to the west coast. The race is split into 5 stages consisting of two platforming sections and then a boss fight at the end of the stage. Nye clears the game in record time.